Dr. Jack Stockwell - 70% of Women Diagnosed with Breast Cancer Don't Need Chemo! 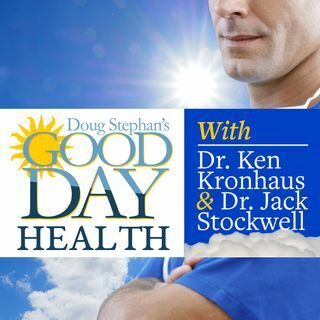 Host Doug Stephan and Dr. Jack Stockwell http://www.forbiddendoctor.com discuss new studies that show that 70% of women diagnosed with Breast Cancer don't need Chemotherapy. Too high of an Insulin level could clause inflammatory issues in your body, which makes you susceptible to Viruses. Dr. Jack explains why we need alkaline foods and what happens if we get too much. Finally, the reasons why we sometimes crave an apple, and other foods.